A witness to history in the U.K.
Murad Waiss, a combined major in political science and international affairs, began the first of three consecutive global experiences a year ago, in London. From September to December, she worked at the House of Commons for Mims Davies, a Conservative Party member in the U.K. Parliament. The internship, secured through the Hansard Society Scholars Program, included research and drafting correspondence on policy matters. Following that internship, Murad Waiss began the first of a two-part global co-op. It was her “dream job”—a position at the NATO Defense College in Rome. From February to May, she conducted research on NATO-related issues, including collaborative international efforts to address piracy off Somalia’s coast. She also participated in the college’s flagship course, through which she took part in high-level lectures alongside military officers and others in key civilian roles from NATO countries. Part of the course involved visiting places in Rome and other parts of Italy, and she helped plan those visits and brief other course members about the places they were visiting. “I learned a lot in terms of how to interact with military officials and how an international organization works,” she said. 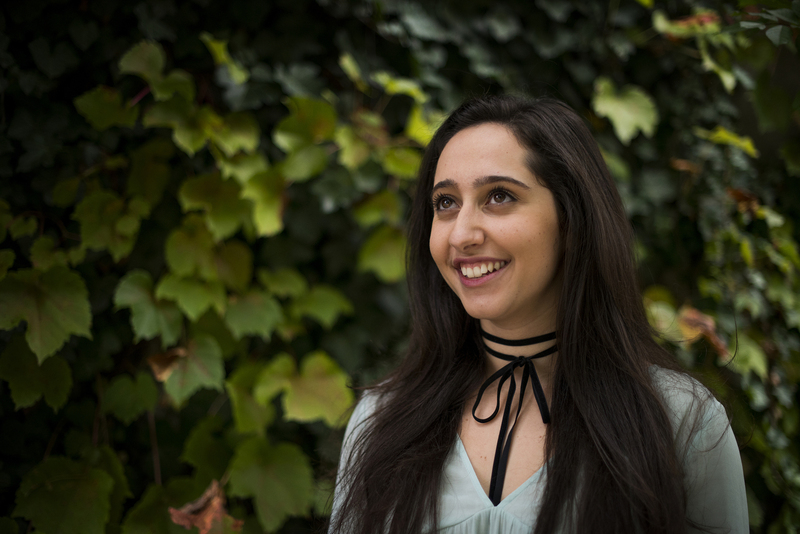 For the second part of her global co-op, Murad Waiss worked in Israel at the International Institute for Counter Terrorism, known as the ICT. There she began a research project focused on building public resilience as a means of countering the fear of terrorism. She also organized and attended a certificate program on counter-terrorism studies and assisted in planning the ICT’s World Summit on Counter Terrorism. Murad Waiss extended her stay at the ICT until mid-September to attend the summit, where one of the security-related simulations she worked on as part of her research was presented. “That really opened my eyes to the field of counter terrorism,” she said of working at the ICT and attending the summit. She said her global experiences as a whole have provided an up-close look at two exciting potential career tracks: one in foreign service, the other in counter terrorism. Which one will she pursue? “I don’t know the answer yet,” she said. This fall, Murad Waiss is back on campus for the first time in more than a year. She is eager to bring the knowledge gained from her global experiences back into the classroom and her other academic pursuits, which include continuing the public resilience research she began at the ICT. 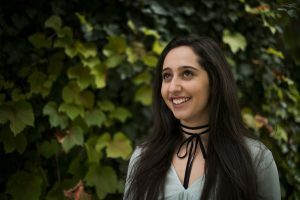 What’s more, she is Northeastern’s Gideon Klein Scholar for the 2017-18 academic year, an honor that supports a student in creating an original work related to art during the Holocaust. Murad Waiss is choreographing a seven-piece dance show, with each piece inspired by a different painting, poem, or song from the Holocaust. One is “Lullaby,” a song by Gideon Klein, a pianist and composer who was imprisoned in concentration camps until his death in 1945.